M.R. 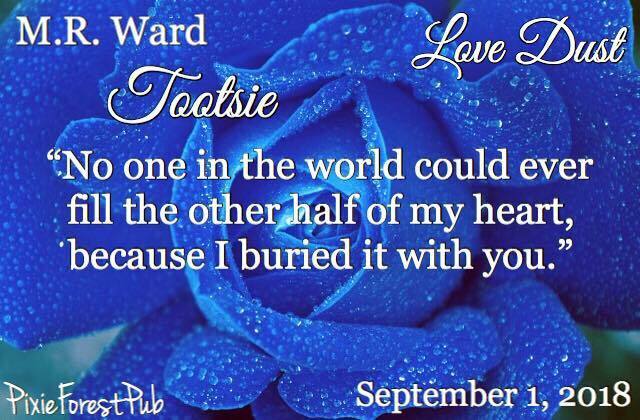 Ward is a Knoxville, Tennessee native who has always loved writing stories. Although mostly set in the horror genre, all of his stories contain elements of the strange or peculiar despite genre. He is an avid fan of horror movies, loves small dogs, and can’t start his day without coffee (cream, no sugar). 1. Where did your inspiration for your story come from? My brother and I were going through some of our father’s old clothes (he had passed away ten years prior) when I came across a grey suit coat. I tried it on and wondered what would happen if his spirit possessed me in that moment. When I started to really think about it, the idea of a love story began to form. I wanted to write a story based on my departed grandparents as a dedication to their love because without it I wouldn’t be here today. All the characters in the story are based on relatives who have passed on. I used their real first names, but changed the last names because, after all, it is fiction and not an actual account of events. Even though they are not here with me anymore, I like to think they’re together somewhere on a different kind of journey. 2. Who is your favorite character in this story and why? As I said before, all the characters are based on deceased relatives, so it’s difficult to name a favorite. The story obviously centers around Lula Mae and Elmer, but the banter between Betsy (who was my paternal mamaw) and Juanita (who was my paternal aunt and Betsy’s daughter in real life) was entertaining. 3. When you aren’t writing, where can we find you? You can’t. I only exist online (hey, now there’s an idea for a new story!). Seriously, though, I live in Knoxville, Tennessee and love spending time with family and friends, taking my new pup out for walks, or Netflixing it up with my partner. I also enjoy going to conventions, such as Days of the Dead, Comic Con, and Creepy Con. 4. What author has influenced you the most? Stephen King. His stories are so vibrant and engaging, not to mention terrifying, but he’s not confined to the horror genre, and that’s one of the reasons I wrote “Tootsie.” My first published story, “The Open Road,” was a horror story in the vein of King, but I wanted to prove I could write in other genres as well. 5. Where do you write? Is there a special place? Share a picture if you wish. I use the guest room in our apartment as my writing room. I have a desk and a bulletin board filled with notecards that contain story ideas, so most of the time I write at my desk, but sometimes I write in bed. It just depends. 6. Do you consider reading as part of your job as a writer? Why or why not? If I looked at it as a job, I probably wouldn’t do it. I do believe reading makes you a better writer, so it is important to read in the genre you want to write, but I enjoy taking time out for myself to get lost in another world. 7. Other than family, what are five things you cannot live without? Coffee, chocolate, pizza, music, and horror movies. 8. What is your all-time favorite TV show? 9. Not picking your own, which story in Love Dust is your favorite? “Six Point Hayes” by Tricia Wentworth. 10. If you could meet one writer in the history of the world, who would it be? What would you talk about? Stephen King. He is my all-time favorite author and I would love to just talk with him about the publishing world and writing in general. He was once a nobody too, but now everyone knows his name, whether they’re fans or not. I don’t think I would want to be as famous as he is, but I’d love for my stories to be compared to his. I recently started working on a bizarre little tale with author Dennis Doty. He had written a couple thousand words of a horror story and asked if I’d like to pick it up and work with him on it. I read what he had and it’s very different from what I’ve written before, but it’s going well. I’m building on his foundation and pleased with the progress. Earlier this year, I started writing my first novel, a horror story I first wrote in 1992, but I had personal issues arise that have since been resolved. After my joint venture with Dennis is complete, I’ll be returning to Danielsburg (the fictional town in my novel). 12. Where can we find more about you and your work? 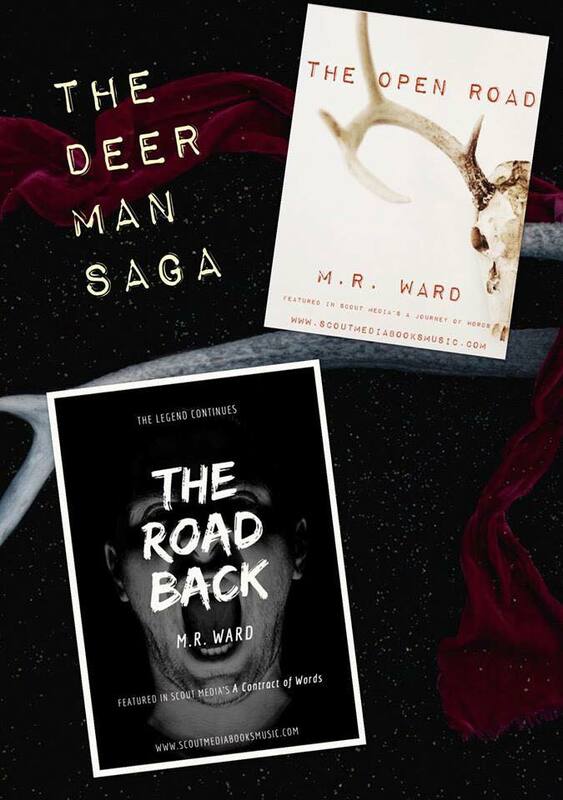 You can see the other published anthologies containing the Deer Man stories on my website (www.mrwardauthor.com). As a side note, Juanita from “Tootsie” makes an appearance in “The Road Back” in A Contract Of Words. You can also like my Facebook page (www.facebook.com/mrwardauthor) and follow me on Instagram (www.instagram.com/m.r.ward_author). I do have a Twitter account (www.twitter.com/mrwardauthor), but I barely use it.